Sorry I am late with this one ! Thank you for the sketch. Now to find some papers and embellies for this card sketch. WOW ! You are really on this one Kiethann !! Sending out your Tags and GLue Pins and Bling PAckage today...sorry it is so slow getting to you . 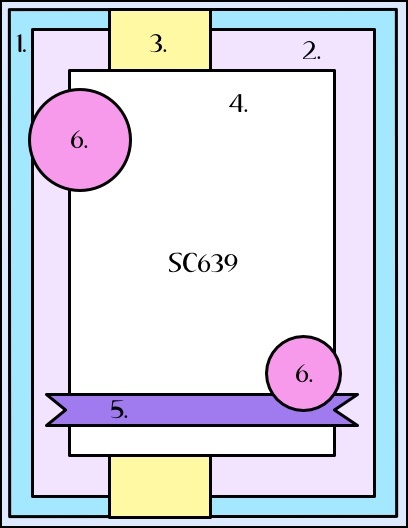 I just finished making a card for this challenge. It is getting ready to storm, so I am shutting down my computer. Will take pic and post tomorrow. 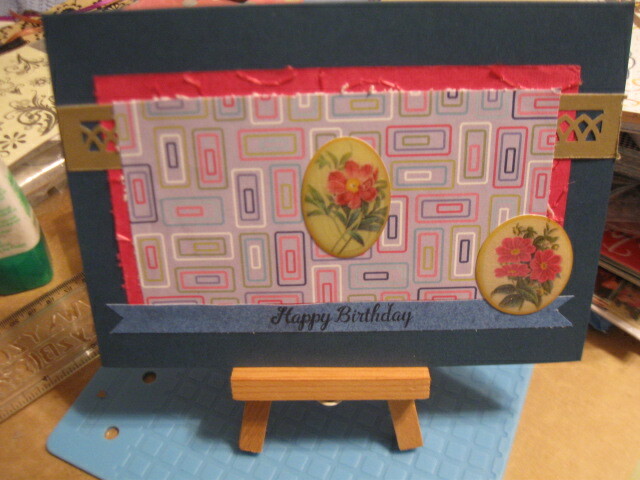 I dug into my paper scrap box and my left over embellishment box to make this one. Luckily, I did not make any errors when cutting my scraps up to put on this card. Much better weather today. Even though it is HOT at least we do not have any high dangerous winds. Here is my first card made from the sketch. Decided to make a second card. This one also is done using scraps from my paper and craft scraps/leftovers boxes. 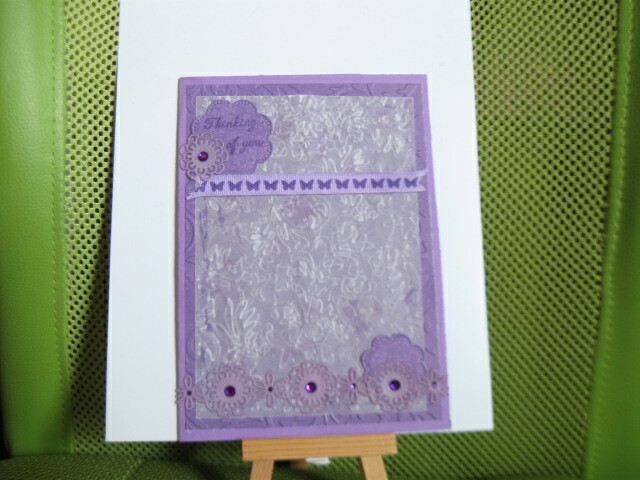 I embossed the vellum and also one layer of the cardstock.